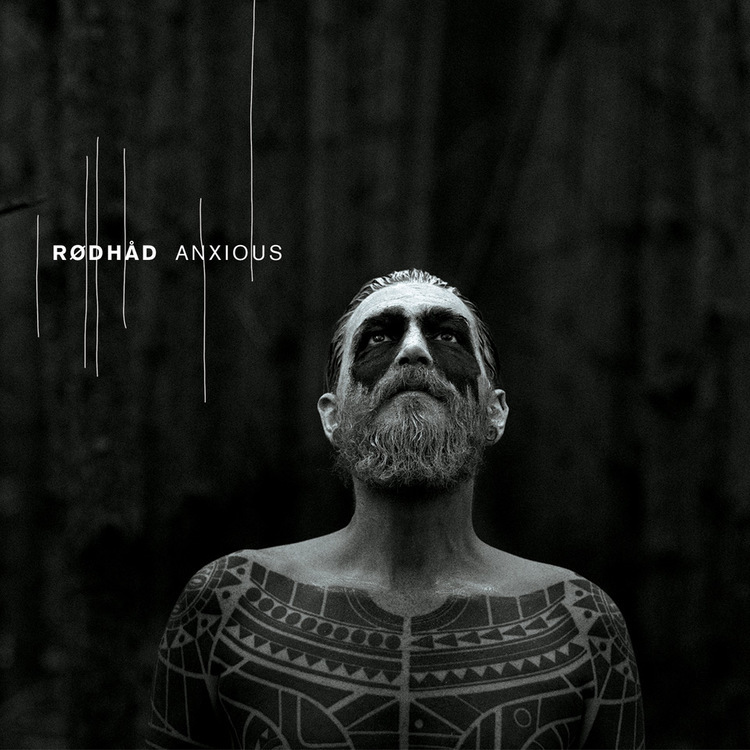 Rødhåd’s debut album ‘Anxious’ sees the artist step away from the dancefloor and further develop the narrative qualities of his beautiful soundscapes. It was the natural next step to present the sound he began cultivating with his recent EPs “Kinder der Ringwelt” and “Söhne der Erde” as a full length LP. The experience the album is trying to convey is being thrown into a world that is ready to crush you. They have you with your back to the wall, and you are ready to give way to despair. Will you be able fight back? How is it even possible? Rødhåd is the spearhead of a new generation of techno producers and DJs. With his bass heavy grooves and dubby atmospheric soundscapes he is a sonic guide, knowing exactly where he wants to take the crowd, leading through the inexhaustible sounds of techno music in all its beauty and gloom. He fully immerses himself into the music, yet never loses himself. Growing up in Berlin’s rougher outskirts, as a teenager he was able to grasp the final flashings of Berlin’s mythical nightlife of the 1990s at legendary places Casino and Ostgut. In the late 2000s the Dystopian crew began their own series of parties and then the label with two seminal releases by Rødhåd, “1984” and “Blindness”. The album begins with a series of pulsing sounds as ‘Unleash’ lures the listener into Rødhåd´s sonic universe. Hearing indistinct sounds and rotating helicopter blades imply an uncertainty about where this journey will go to. Clearly aware of an oncoming adventure, the excitement of discovering an alien world sets in. The eerie melodies and the subtle staccato grooves of ‘Withheld Walk’ pulls its audience even further into an infusible mix of curiosity and fear. With ‘Escape’ the bass drum finally sets in, but against all odds does not tune into a clubby energy. Remaining restrained and imaginative, the ghostly melodies of the ‘Brief Respite’ sound like the voices of creatures from another planet. ‘Awash’ features a beautiful, yearning flute and out-of-tune strings wrestle with subdued breakbeats and a heavy bassline. ‘Glimmer Of Light’ then sets an uncanny key, moving the dark beauty of 80s electro into the rich and subtle electronic palette of the present. In ‘Target Line’, Rødhåd´s collaboration with Vril, the simmering synth-track breaks away when they least expect it, setting the stage for the climax of the album. An Amen break tears itself loose in ‘Burst’ and gets lost in an echo. Rødhåd breaks away from the story at its high point. With the quiet and majestic techno grooves of ‘Left Behind’ the turmoil is over. Finally, last track ‘Cast A Shadow’ expresses relief and quiet, giving them a chance to reflect on their mind-boggling journey. And just moments later, thrilling adventures turn into distant memories. Posted on August 24, 2017, in music and tagged Dystopian, Rødhåd. Bookmark the permalink. Leave a comment.